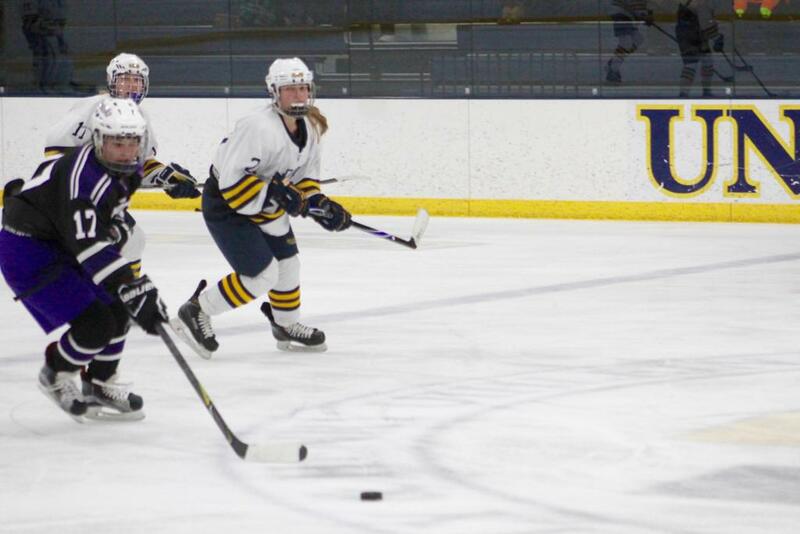 The University School co-op girls’ hockey team scored three goals in the first period and went on to defeat Onalaska 4-1 in a non-conference game on Friday, February 8th at USM. 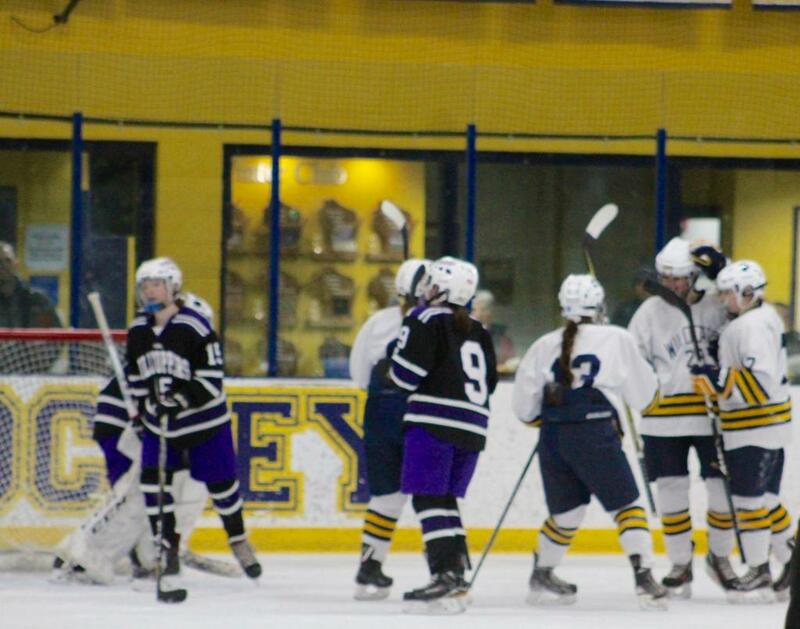 In the annual match-up of these two cross-state rivals, the Wildcats played with determination from the opening puck drop. 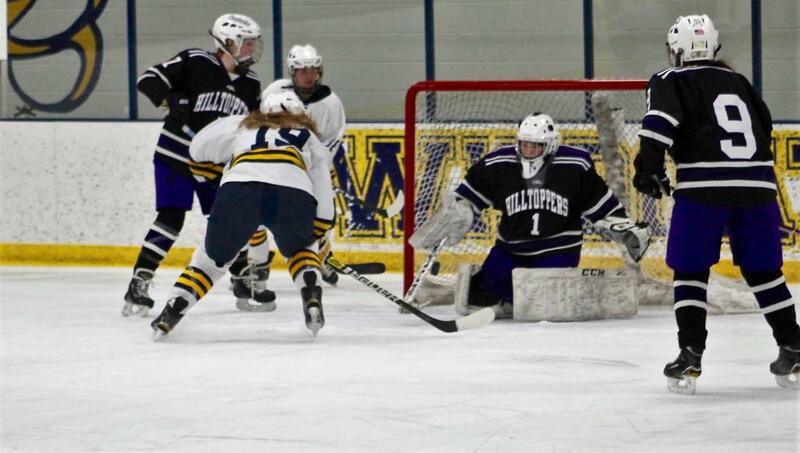 In the first period, they fired 13 of their 39 shots on the Hilltoppers’ sophomore goalie, Izzy Lassa. 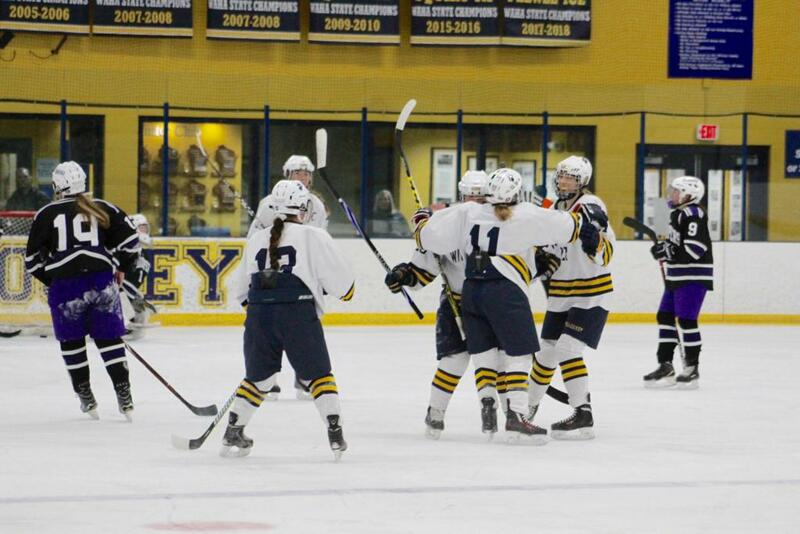 Senior Gaby Turer, and sophomores Zoe Neudorfer, and Jordan Bonk scored on three of those first period shots. 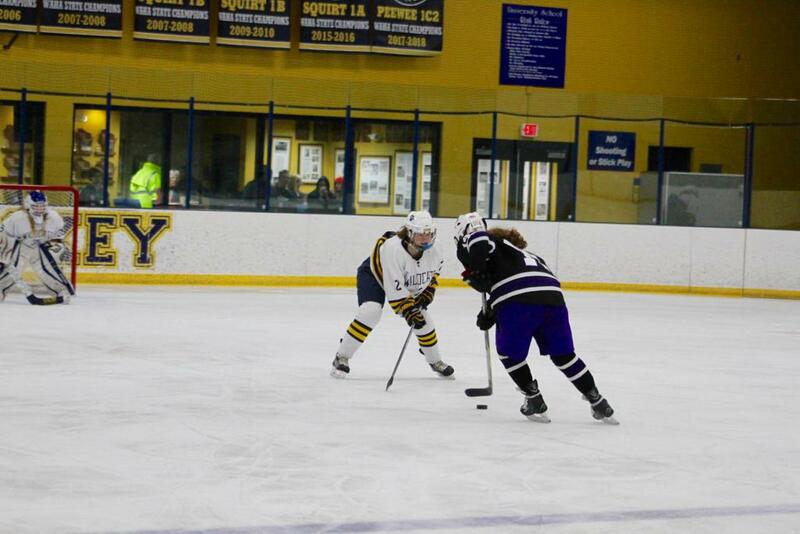 The Wildcats added a power play goal by senior Libby Hennelly in the second period before allowing the Hilltoppers a goal late in the same period by junior Taylor Fox. 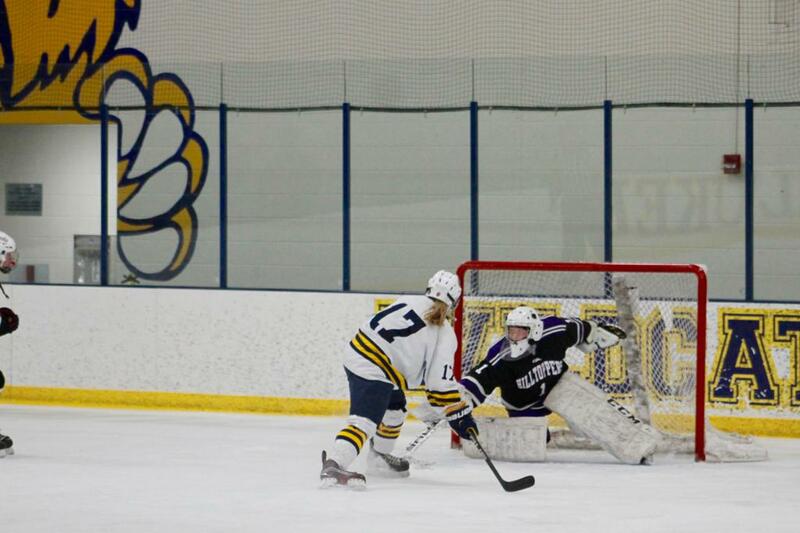 Sami Stommel, USM’s freshman goaltender, turned aside all 15 of the other shots Onalaska took on net during the game. 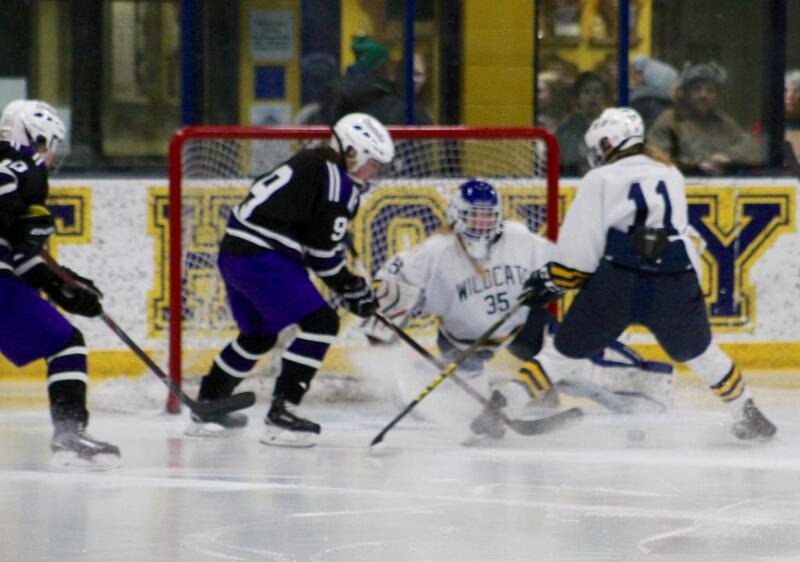 Turer scored the Wildcats’ first goal at 6:46. 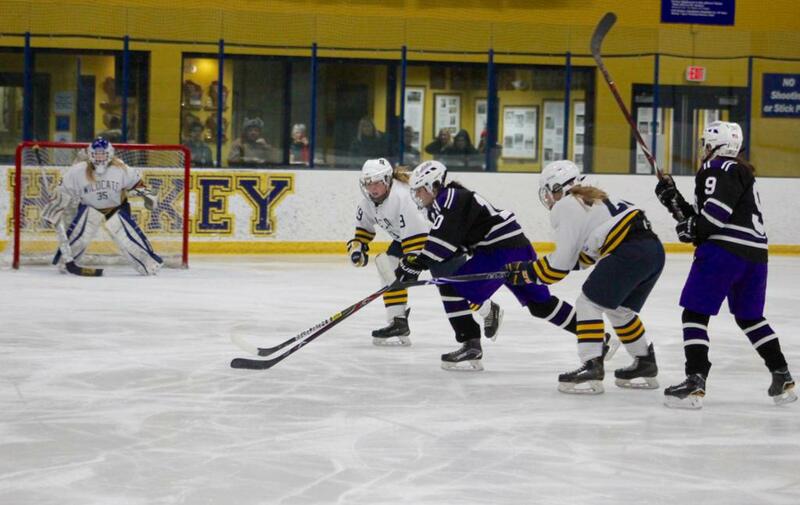 As the Wildcats fiercely forechecked, junior defenseman Maggie Meissner stopped a Hilltopper breakout attempt near the top of the right circle. 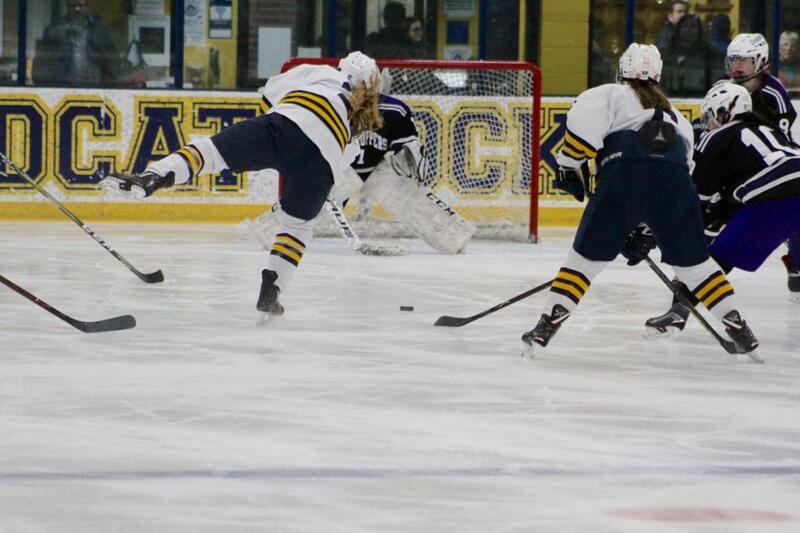 The puck popped to senior forward Hannah Neudorfer. She skated into the circle and took a shot. 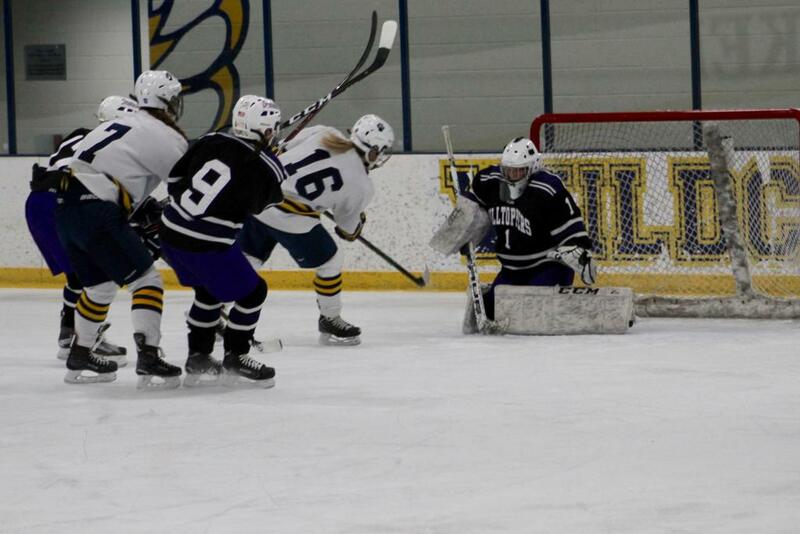 The rebound off of Lassa’s pads caromed to the left corner to senior Kinzie Youngblood. 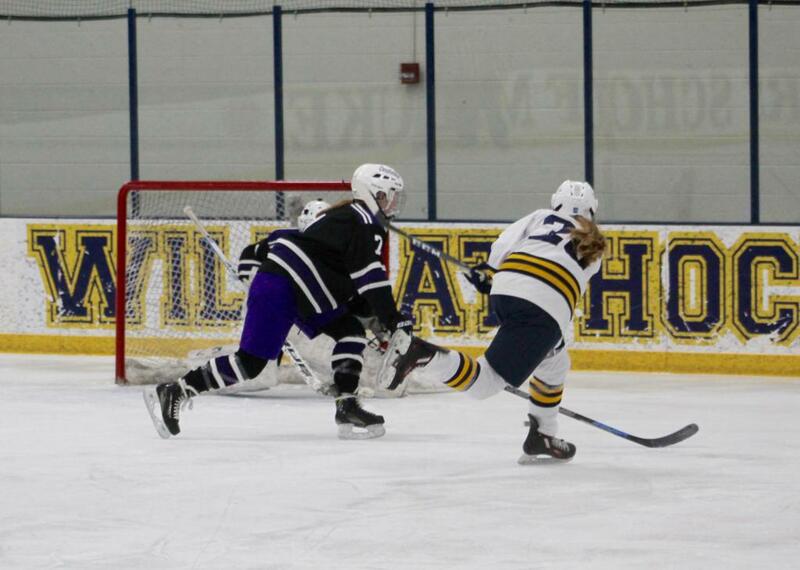 Youngblood, turned one way, then another to brush off the defenseman covering her. 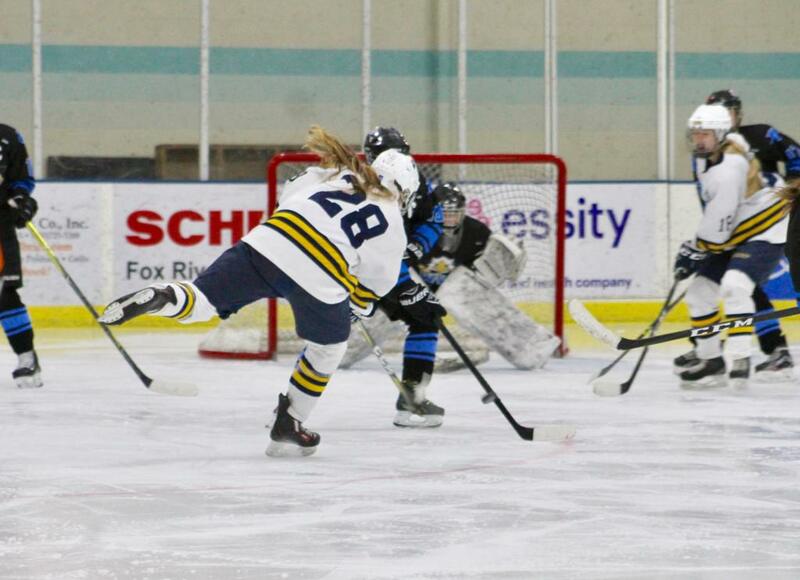 She then passed the puck to Turer in the high slot. Turer stepped in and whistled a wrist shot into the net. Four minutes later, the Wildcats scored what would be the game-winning goal. 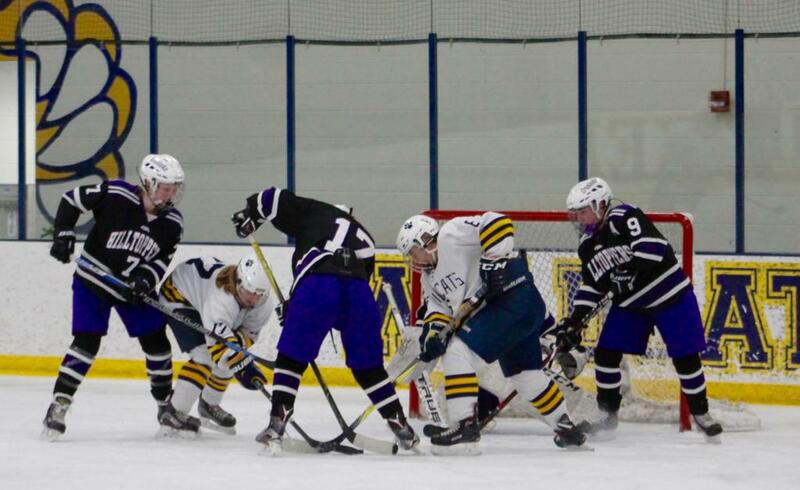 Once again the Wildcats overwhelmed the Hilltoppers with a vigorous forecheck. 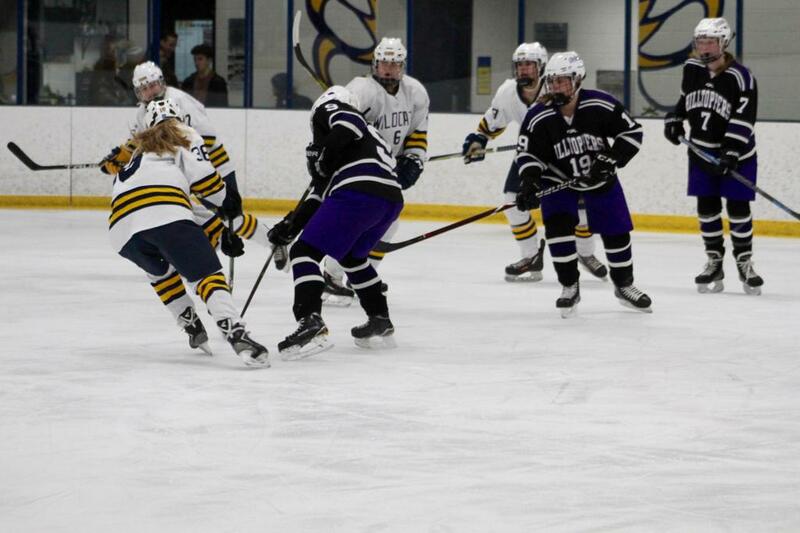 Hoping to avoid the pressure, an Onalaska defenseman tried to whip the puck out of the zone. Zoe Neudorfer stopped their attempted clear at the blue line. She then fired a low shot that snuck between Lassa and the goalpost at 10:46. The Wildcats kept at it, and less than a minute later the score became 3-0. 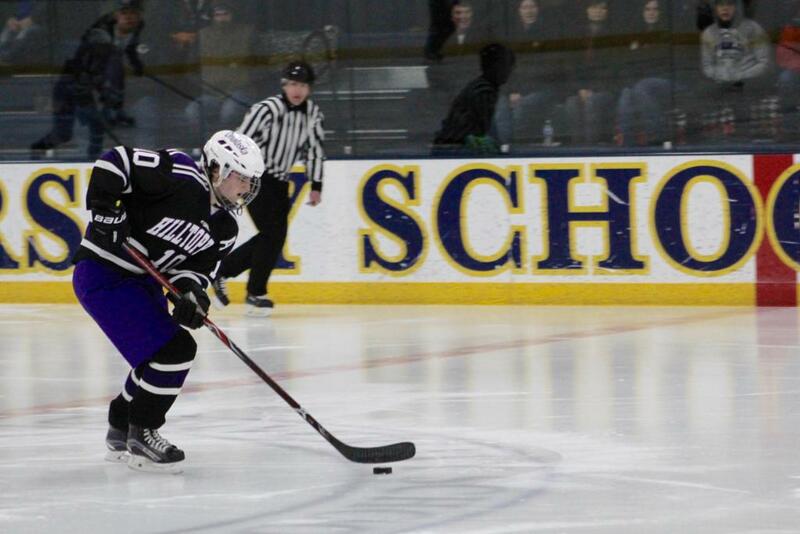 As the Wildcats continued their forechecking efforts, Hennelly got the puck at the right point and fired a shot. It deflected off of senior Lexie Epperson and went on net. Lassa stopped the deflection, but the rebound leaped into the low slot. Skating across the low slot when the puck bounced out, Bonk bopped it back and in at 11:21. 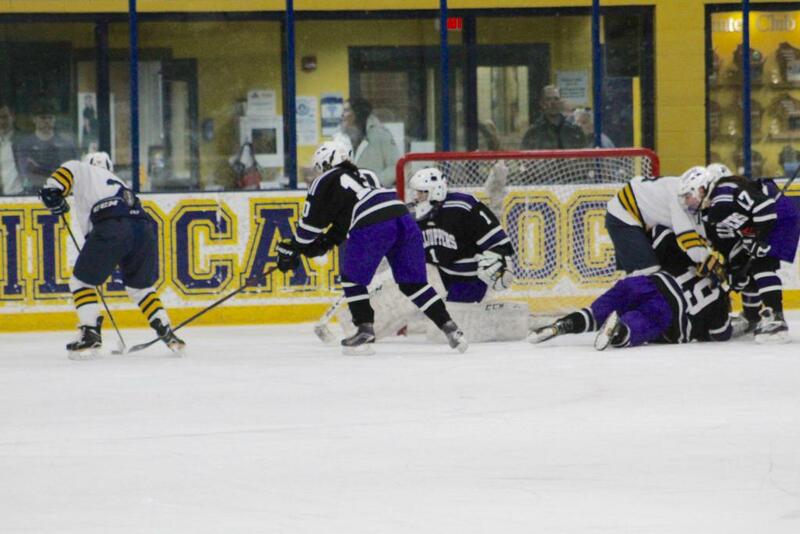 The fourth Wildcat goal came on a power play late in the second period. 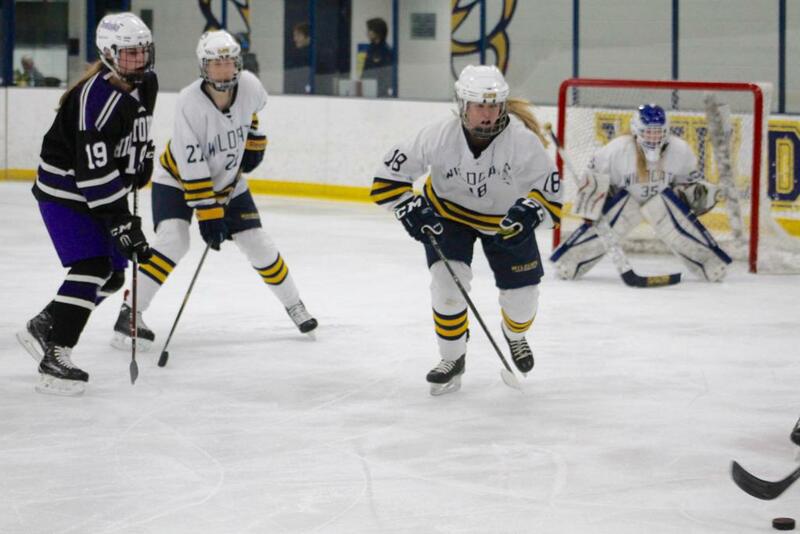 As the Wildcats moved the puck around the Hilltoppers’ zone, it went to senior Michaela Fritz at the center of the blue line. She gunned a low shot into Lassa’s pads. The rebound bounced to the right. Epperson captured it and fired an off-angle shot at the net. The rebound of her shot caromed out front. Hennelly raced to it and one-timed it into the net at 12:00. The Hilltoppers scored their lone goal at 15:48 of the second period. They blocked a breakout pass near the top of the left circle. The puck bounced around and went to Fox at the left point. She zoomed a low shot that made it into the net for the goal. Onalaska left Milwaukee with a 9-11-1 record. The Hilltoppers have three postponed games to make up in the coming week before the state tournament playoffs start. The first of these is against the St. Croix Valley Fusion on Monday, February 11th at the Omni Center in Onalaska. USM is now 15-8. 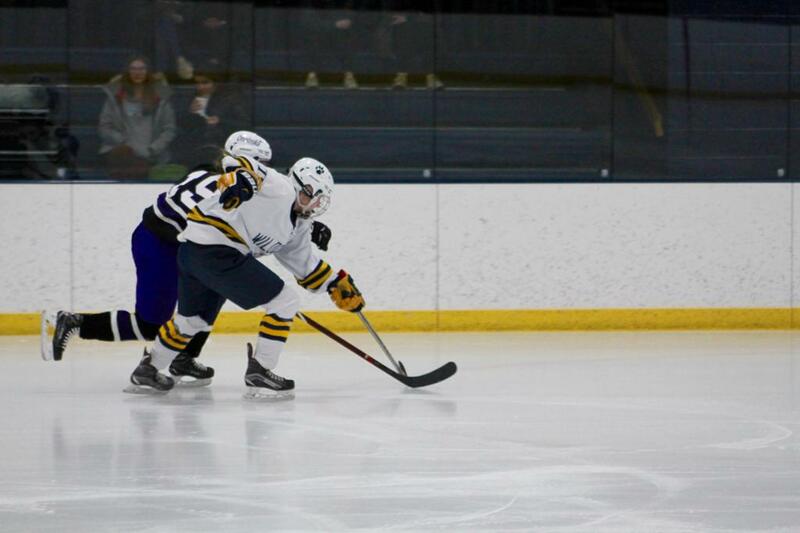 The Wildcats finish their regular season schedule on Saturday, February 9th when they face off against the Brookfield Glacier in a non-conference game at 7:35 p.m. at the Ponds in Brookfield.